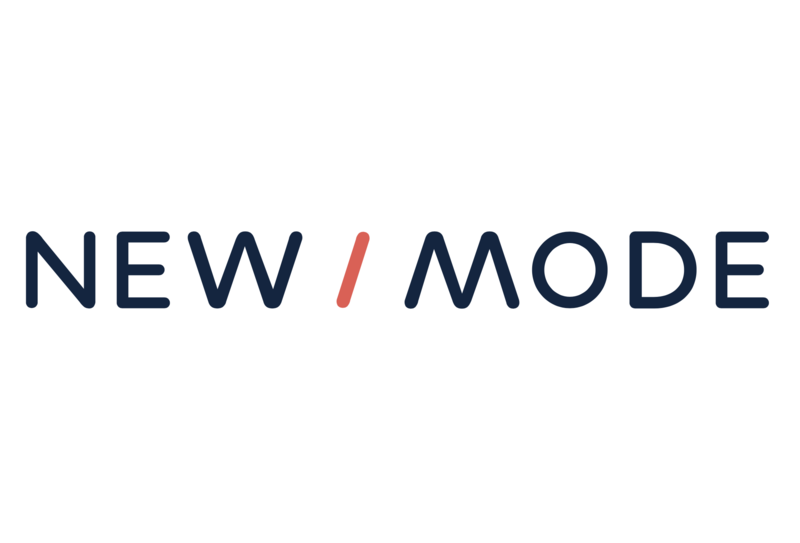 Your New/Mode account just got a makeover! This is one of many steps we are taking to make your experience setting up and managing campaigns easier! You will be introduced to a cleaner backend theme, some menu reorganization and a more functional campaign layout. Over the coming weeks, we will also be making improvements to the workflows for configuring your tools. Below are the key highlights and links to get to know the new theme, released on March 15, 2018. We would love to hear your thoughts - please don’t hesitate to send your first impressions my way! Thank you for all your feedback to make New/Mode work better for you. 1. 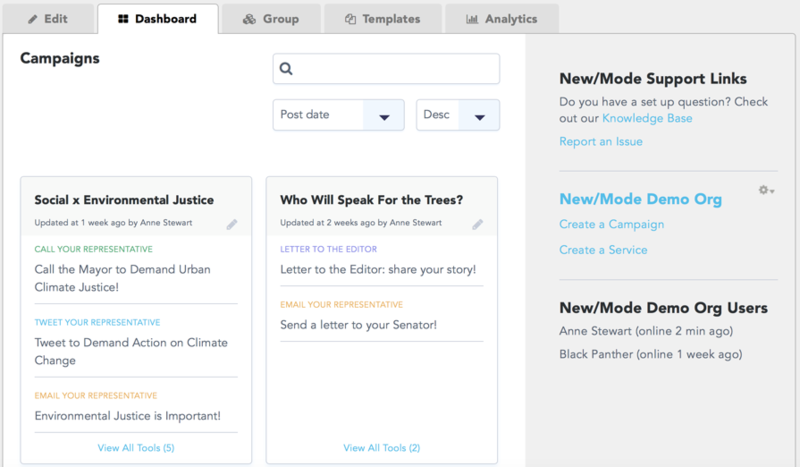 Meet your new Organization Dashboard! Click to learn more about your Organization Dashboard. In your Organization Dashboard, you can now search for and display your campaigns based on date created, last date updated or by keyword. No more scrolling through pages to find an older tool! Your analytics tab (formerly called Dashboard) is now called… wait for it… Analytics! New hire or another department decided to join in on the advocacy fun? No problem, we understand teams change! You are now empowered to manage your own team and add users as needed in your Group tab. Click to learn more about adding and managing users in the Group tab. When you’re setting up a tool for the first time, you want to go through each step in the process, before reviewing and testing. With the new theme, the Save button on each tab will take you to the next step in the tool setup process. At any time, you can click the View tab after saving to view your changes. We are always looking to make improvements based on how you interact with your New/Mode account. If you have feedback on the new theme or requests for new features, click below. Click to request new features, provide account feedback and vote on others’ suggestions.